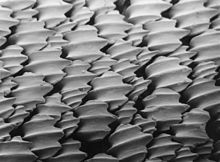 Shark eyes are similar to the eyes of other vertebrates, including similar lenses, corneas and retinas, though their eyesight is well adapted to the marine environment with the help of a tissue called tapetum lucidum. This tissue is behind the retina and reflects light back to it, thereby increasing visibility in the dark waters. 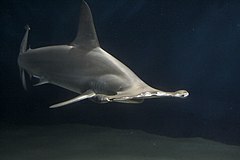 The effectiveness of the tissue varies, with some sharks having stronger nocturnal adaptations. 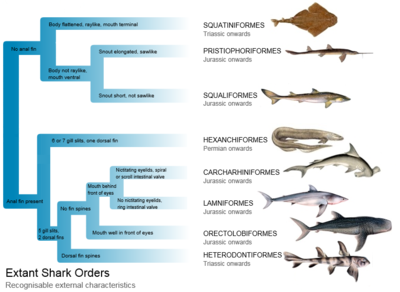 Many sharks can contract and dilate their pupils, like humans, something no teleost fish can do. 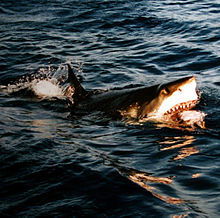 Sharks have eyelids, but they do not blink because the surrounding water cleans their eyes. To protect their eyes some species have nictitating membranes. 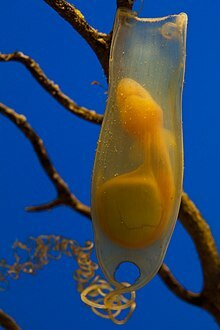 This membrane covers the eyes while hunting and when the shark is being attacked. 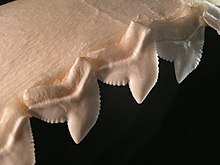 However, some species, including the great white shark (Carcharodon carcharias), do not have this membrane, but instead roll their eyes backwards to protect them when striking prey. 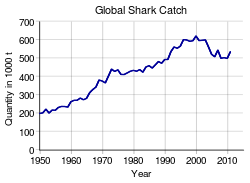 The importance of sight in shark hunting behavior is debated. 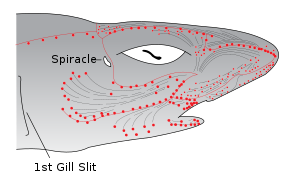 Some believe that electro- and chemoreception are more significant, while others point to the nictating membrane as evidence that sight is important. Presumably, the shark would not protect its eyes were they unimportant. The use of sight probably varies with species and water conditions. The shark's field of vision can swap between monocular and stereoscopic at any time. 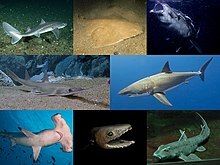 A micro-spectrophotometry study of 17 species of shark found 10 had only rod photoreceptors and no cone cells in their retinas giving them good night vision while making them colorblind. The remaining seven species had in addition to rods a single type of cone photoreceptor sensitive to green and, seeing only in shades of grey and green, are believed to be effectively colorblind. 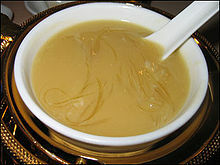 The study indicates that an object's contrast against the background, rather than colour, may be more important for object detection.